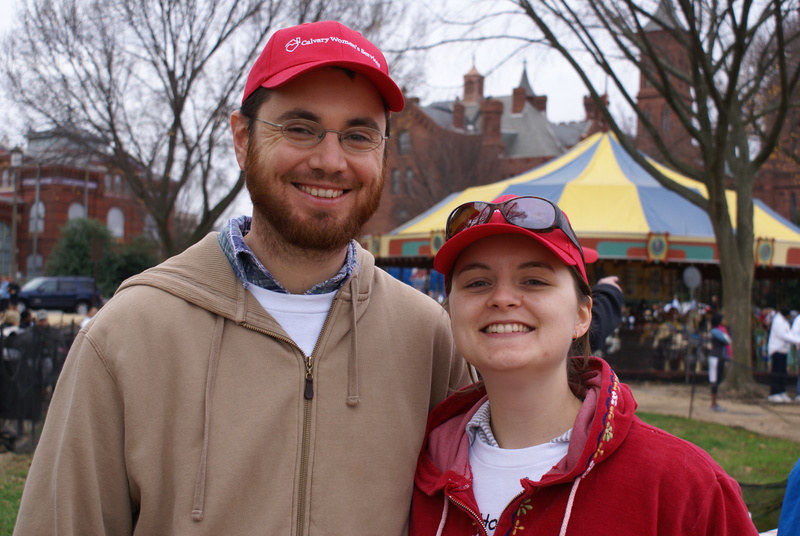 Tabitha Beck & George Newbury are our Walkathon power couple! Tabitha got her introduction to the Walkathon through Calvary staff member Heather Laing, and Tabitha & George have been walking together for Calvary ever since they moved to D.C. in 2003. Another joint effort they undertook – Tabitha & George ran the Army Ten Miler this October (their first race ever!) so now they are recuperating just in time for the walk in 12 more days. After eight years, the Walkathon has become a yearly tradition for them. Not only do they love being a part of the great team helping Calvary raise funds for its programs, they also look forward to powering up with donuts at the Carousel the morning of the walk!